Now that Salesforce has released the full schedule for sessions at Dreamforce 2017, we thought we’d highlight some Rallybound customers that will be presenting at the conference this year. This is a great opportunity to learn from innovative and cutting-edge nonprofits that have successfully integrated their peer-to-peer fundraising and Salesforce to create not only amazing campaigns on the front end, but ones that also seamlessly sync with Salesforce on the back-end. 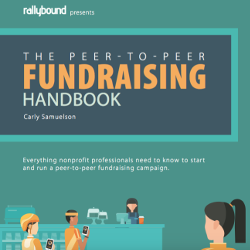 The MJFF has been working closely with Rallybound for the past two years, running a number of peer-to-peer fundraising campaign types using our platform and Salesforce integration. According to the session description, Mr. Saunders will discuss the, “impressive results and improved efficiencies across [MJFF’s] development, marketing, and service departments,” since the organization switched from Luminate to Nonprofit Success Pack (NPSP). The Sierra Club, which launched its first-ever online peer-to-peer fundraising campaign with Rallybound in 2016 called Team Sierra, is another enthusiastic user of Salesforce’s solutions. The Dreamforce session will discuss how the Sierra Club is usually among the first nonprofits to reach out to its supporters about current events, and how the organization leverages Salesforce for these communications. MMRF has been offering supporters many inventive online campaigns on the Rallybound fundraising platform in 2017, including the award-winning “Moving Mountains” campaign, where supporters climb a mountain to raise funds for MMRF’s mission. So if you are attending Dreamforce 2017, we hope that you get a chance to check out these great nonprofit sessions. Also, we hope to see you in the Salesforce.org Lodge, where Rallybound will have a booth all week. If you would prefer, you can schedule a 1-on-1 meeting with our team during the conference.